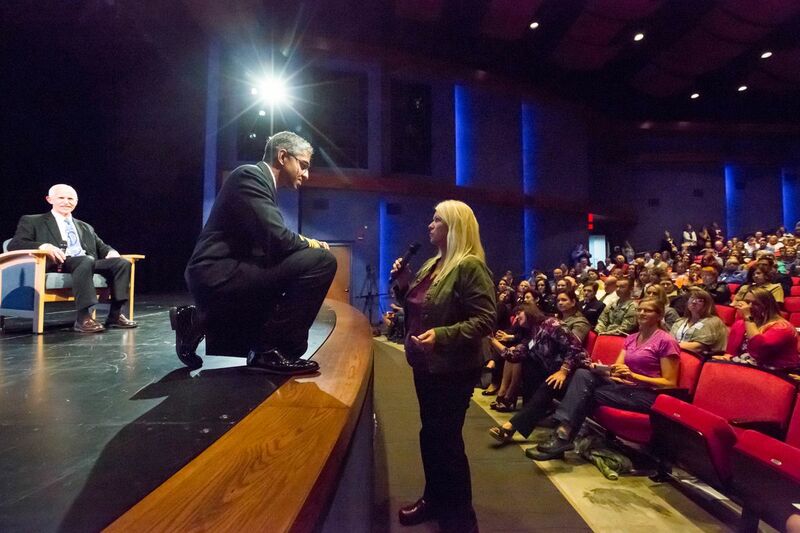 PALMER – Kim Whitaker took the story of her anguish over her daughter's ongoing battle with heroin addiction straight to the U.S. surgeon general. Dr. Vivek Murthy was a key participant at a high-powered opioid summit convened by U.S. Sen. Dan Sullivan, R-Alaska, at Mat-Su College Thursday. The summit aimed to bring federal officials up to speed on the challenges Alaska faces in combating heroin and prescription painkiller abuse. Whitaker told about 500 people at the Glenn Massay Theater that her daughter became addicted to heroin after a doctor prescribed her opiates at 19. Then she lost custody of her children. She's been through detox three times, twice in Anchorage and the last at home. Whitaker, one of a group of Alaskan women who sparked the summit after they shared their addiction stories with Sullivan in Washington, D.C., last fall, had a question for the nation's top doctor. "Is there going to be a unique approach to how we're going to get help here because of our uniqueness?" Whitaker asked. It was the question of the day. The state's rural areas and lack of treatment facilities can make it difficult, or impossible, for some addicts and their loved ones to seek care, officials say. There are only a few dozen detox beds in the state and scant treatment options outside Anchorage, Bethel, Fairbanks and other urban areas. Alaska, like many other states, is in the midst of what medical experts categorize as an opioid abuse epidemic over the past decade: providers overprescribing painkillers led patients seeking the same high to switch to cheaper, more available heroin. Nationally, 78 people die every day from an opioid-related overdose and 580 initiate heroin use, according to Dr. Mary Wakefield, deputy secretary of the U.S. Department of Health and Human Services, one of the presenters at Thursday's summit. Thirty-six people died from heroin in Alaska last year, and 83 from prescription opioids, according to state data. Alaska has more veterans per capita than any other state. Veterans contend with more pain problems than the general population, according to Dr. Jennifer Lee, a deputy undersecretary at the Veterans Health Administration. The administration in 2012 launched a "safety initiative" aimed at curbing problem painkiller use. Since 2012, there's been a 25 percent reduction in veterans receiving opioid prescriptions, Lee said Thursday. But a veteran in the audience pointed out the agency still doesn't approve the use of medical marijuana to ease off painkillers. The Rev. Reginald Bright served in Iraq and has been taking opioids — he's not addicted, he says — for years. But Bright said he's also tried cannabis oil and topical treatments for his aching joints. "It works great," he said. "The fact of the matter is, getting it is an issue." Murthy responded there isn't yet scientific evidence marijuana can safely and effectively treat medical conditions. The government is funding 60 trials and studies now, looking at marijuana's benefits and particular harms, he said. Recovering addicts and alcoholics got immediate cheers Thursday from the crowd when they identified the start of their sobriety – including Jeff Jessee, CEO of the Alaska Mental Health Trust Authority. "My name is Jeff and I'm an alcoholic," said Jessee, who serves as co-chair of the state's opioid task force. "I have 10 years of sobriety. And yes, addiction can happen to any of us and we need to end the stigma today." He told the assembled federal officials that Alaska is already taking action on the opioid epidemic with the task force, Medicaid reform and a new law that doesn't "overcriminalize" drug use. But Jessee also had a long list for the feds including staffing emergency rooms with substance-abuse professionals, screening patients for behavioral health issues and supporting prescription drug monitoring programs. He also called for broadening the types of providers who can prescribe medically assisted treatment to physician assistants and advanced nurse practitioners to increase treatment options at rural clinics. 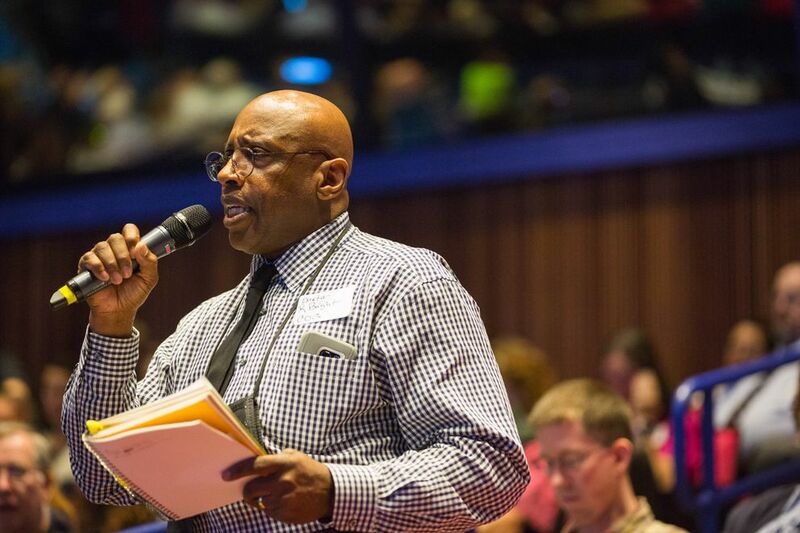 Alaska needs waivers from a federal exclusion that bans facilities with more than 16 beds from billing Medicaid, several summit participants said. Akeela can't collect Medicaid to offer the opioid treatment, said CEO Rosalie Nadeau. The Anchorage nonprofit was founded for that purpose in 1974, she added. Akeela's budget is $100,000 lower now than it was in 1992, Nadeau said. "I don't know how we continue to serve these people." Wakefield of HHS said her agency is getting resources for rural communities with $9 million in grants, including more than $1.7 million to Alaska to promote substance-abuse treatment centers. President Obama has requested more funding, and Alaska is eligible for about $4 million to access treatment, she said. Alaska's federal delegation participated in Thursday's summit, with U.S. Rep. Don Young on video and U.S. Sen. Lisa Murkowski in the audience as Sullivan moderated. Several physicians took less scrupulous peers to task. 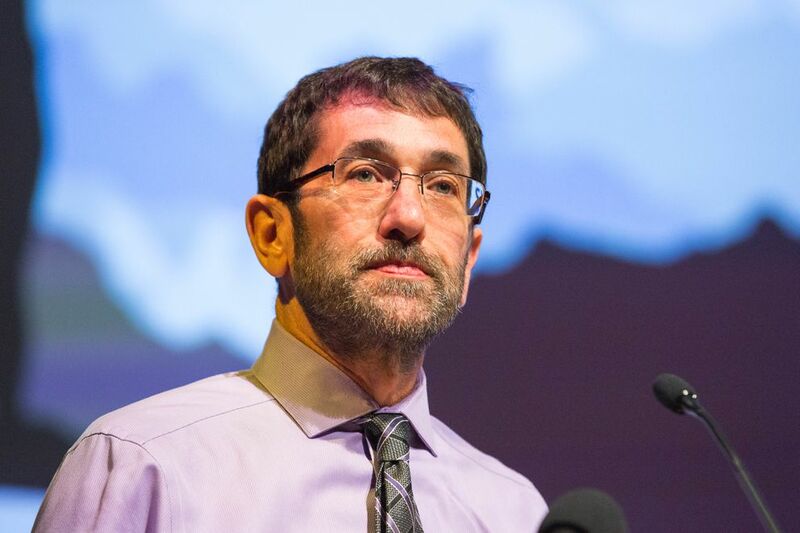 "Life is not meant to be pain free," said Dr. Mike Alter, an emergency physician at Mat-Su Regional Medical Center who serves on a Mat-Su opioid task force. "Opioids are used in ridiculous quantities by the medical profession. This needs to be addressed." Murthy agreed. He said he plans to send a letter to more than two million providers calling for action on the topic of painkiller overuse — plus a pocket guideline card on treating patients for pain. Murthy, 39, is traveling the state this week as part of his "Turn the Tide" campaign. The focus is engaging with clinicians — doctors, nurses, dentists, nurse practitioners — to change prescription methods that led to the current epidemic. The campaign also centers on getting the overdose-reversing drug Naloxone to emergency responders, making sure behavioral health is part of medical care and educating the public on the roots of addiction. "Too many people see addiction as a bad choice, a character flaw," he said. "It's a chronic disease of the brain." Murthy spent Wednesday in Bethel, touring a new treatment center but also traveling by boat to the Kuskokwim River village of Napaskiak. He was impressed to see a teleconferencing setup at the small building that houses the clinic. Murthy said the new Comprehensive Addiction and Recovery Act has provisions to help Alaska, including flexibility for providers with authority to prescribe medically assisted treatment. He also suggested using technology to connect rural clinics with providers in Anchorage or the Lower 48. 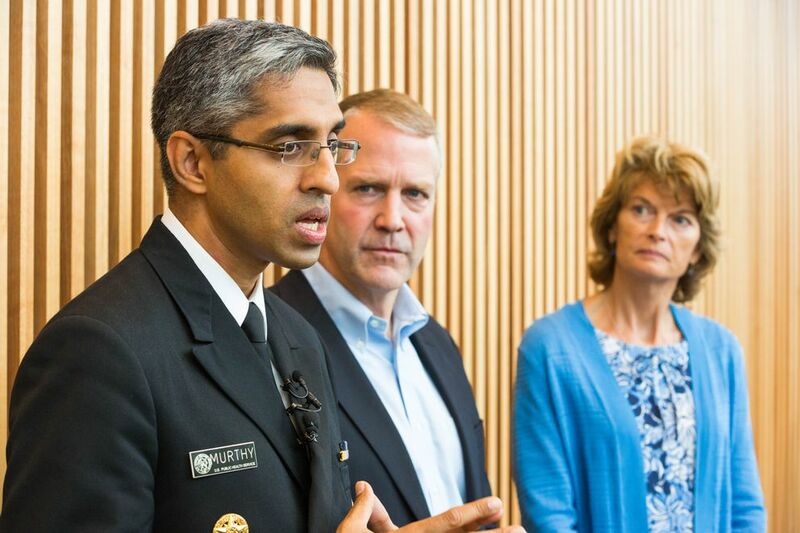 "The strength of Alaska is far greater than the magnitude of the opioid crisis, as great as that is," Murthy said during a lunch break press conference.